Chimney Rock | Western North Carolina Real Estate :: DK Professionals Realty Lake Lure Inc.
A small mountain village that packs a big punch. This tiny village with just 120 registered residents, is sure to move you back in time. RomanticAsheville.com called it one of the coolest small towns in the NC mountains. The village has a sort of Western feel. The original buildings, mostly date back to the 1920’s or 1930’s. Chimney Rock Village is at the entrance to the mountaintop state park of Chimney Rock. 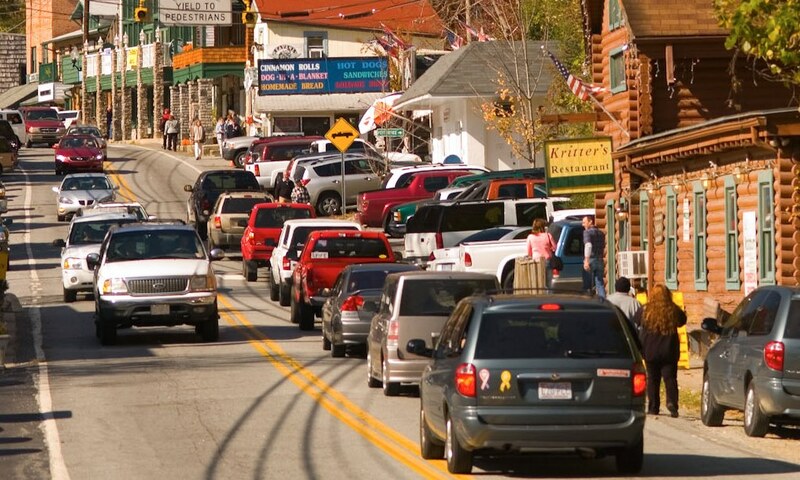 Visit Chimney Rock and you will quickly note the absence of chain stores, restaurants and hotels. The businesses along main strip are all locally owned and operated for many years. Main Street is packed with a variety of shops to make your day trip to the park full of excitement. Main Street, Chimney Rock runs along the Rocky Broad River. Explore the riverbanks or just stop by one of the outdoor restaurants and enjoy a good meal while listening to the powerful river roll past. For fishing, hiking, biking, rock climbing, exploring or just taking in nature, Chimney Rock has something for everyone. Chimney Rock is best known for its natural resources. The Hickory Nut Gorge, jets more than 2000 feet up granite rock faces. Looking up from Main Street you can’t miss the 404-foot waterfall. This is located inside Chimney Rock State park and can also be accessed through one of the many trails. Chimney Rock is located just 25 miles from downtown Asheville. It can be reached from Interstate 40 or 26 or Route 64 through Hendersonville.